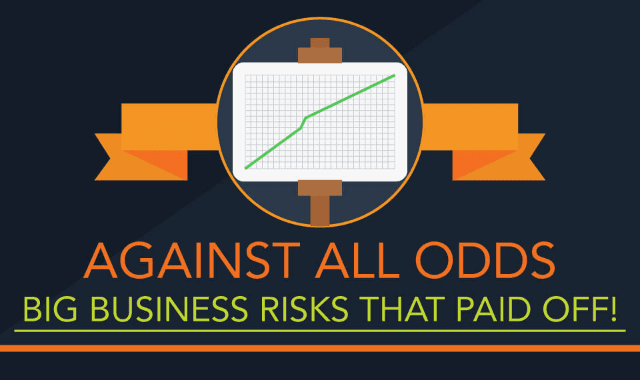 Against All Odds: Big Business Risks That Paid Off #Infographic ~ Visualistan '+g+"
The stories of many of today’s biggest brands include difficult, high-risk decisions; whether this is selling an original start-up to focus on a new company, or investing your ‘last $35 million’ in a venture during the height of the financial crisis. We have investigated some of the biggest challenges that leading corporations such as FedEx, Netflix and Virgin have faced during their development, and the difficult decisions their founders made to overcome them. Would you have made the same call?